My free 79 454/400 c20 camper special. nice truck. amazing you got for free. id like to see those shocks/tie downs. Shock absorbers between cab and bed are factory, they were an option for camper specials. Additionally the brackets at the ends of the front fenders are factory and were for forward shock absorbers up to the camper overhang. There is also camper tie-down brackets that pass through the bedsides. Last edited by 83GMCK2500; 12-09-2014 at 05:50 PM. Something I've never seen. Learn something new everyday! My first 2wd it was free so can't complain. I have duramax for when it gets messy. Right place at the right time. These people weye going to send it to pick n pull. I told em I would take it home. And bam running bbc I'm about $300 into it battery and a few things. Definitely needs some love this summer I'll be doing quite a bit of work to it. Glad you saved the truck, the shocks are cool, especially the in box type, have seen the outside shocks but never the box to cab shocks, even have a built in slot for the cab to box movement. Bought it a couple weeks ago. Fresh 350 with Comp Cams 252H, a little headwork (not sure what heads though), new exhaust. Need to fix the ignition linkage and I'll probably swap in a tilt column if I can find one. I'm thinking of building a flatbed for it, probably steel frame/wood deck. Err, forgot to mention... 1973 C20, 350/350, no rust in important places (that I could find). I wqould like the c20 as a lifted K20, could bring my tools and still go mudding, cool C20, I like the work box. Different and cool at the same time. It's hard to fit big tires with a utility bed (at least without hacking it up). 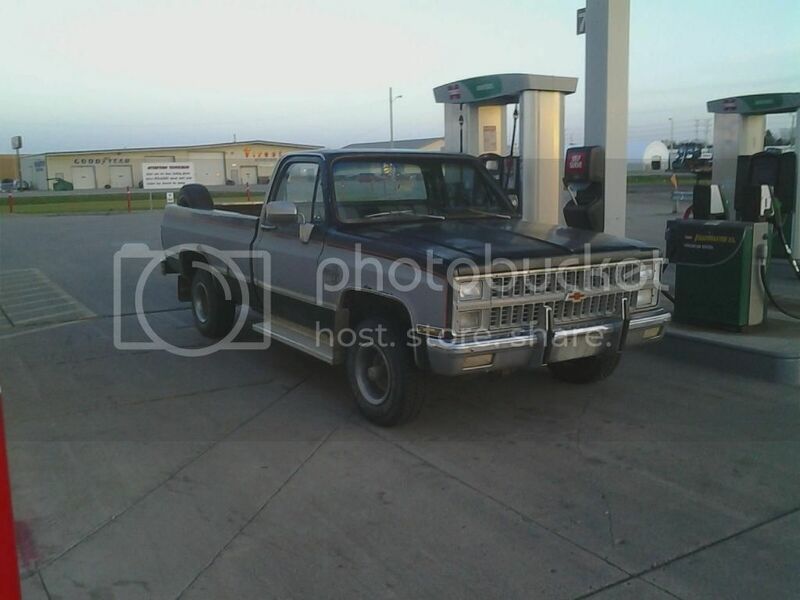 interesting project as a 2wd as is, not many out there. Do you mean there aren't many C20s or there aren't many C20s with utility beds? Oh I meant with utility beds, have hardly ever seen any at all. Yeah I agree especially if its in good condition! I have seen cool full out truck 2wd or 4wd many times, all nice but a utility bed truck, hmmm the things you could do. That is why I was thinking of a huge lift with 40 plus in tires, big block, would go anywhere and packin tools an air tank and other cool back woods stuff, couldn't beat it. Ya your right, prob a different vision being 2wd, but cool truck what ever he does with it. Hoping to see a build soon. 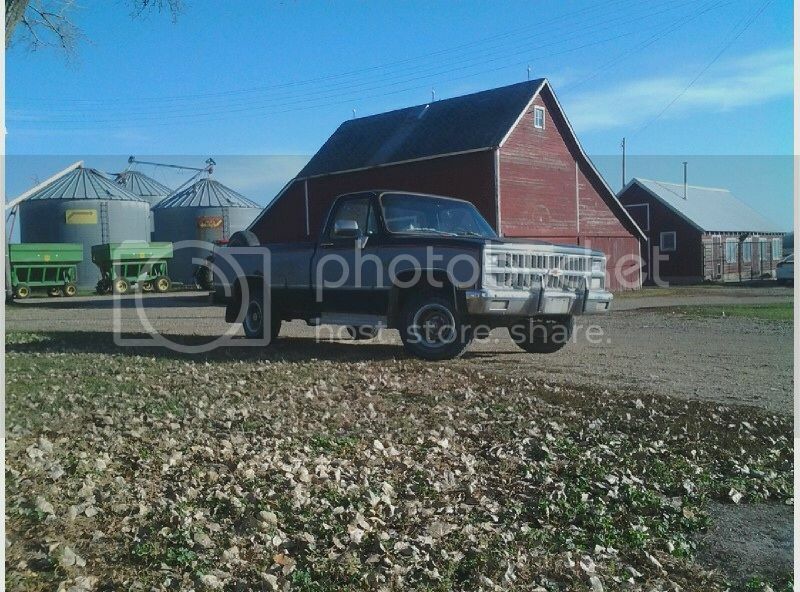 Here's my first square that I can call mine: 1982 Chevy Silverado K-10 6.2/700r4/208 and 3.08 gears. That's a good looking K20. My dad's 86 K10 Silverado. 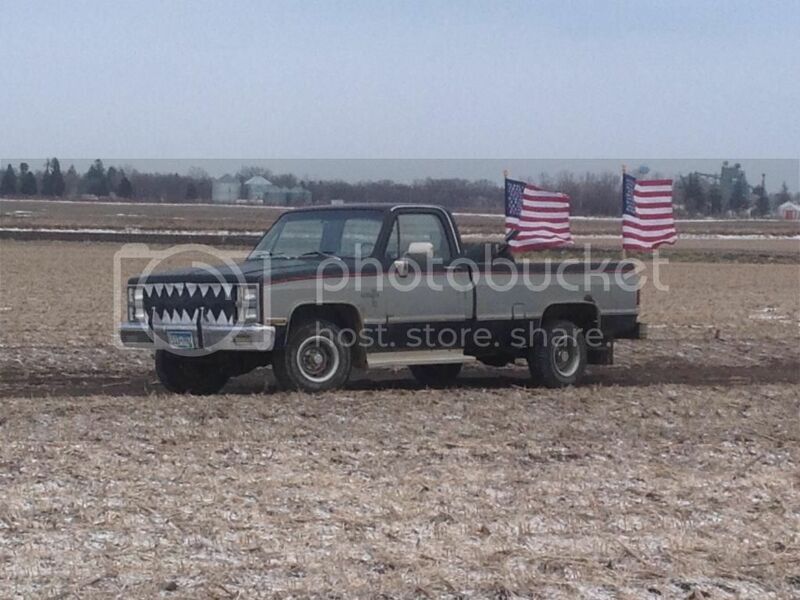 He bought it from a friend to use as a backup truck in his snow removal fleet. Luckily it has only seen snow a handful of times, but it's enough for some rust to start poking through. I looked at the build sheet in the glove box recently and found out it was special ordered with 3.08 gears, which explains why the transmission would overheat a little when we plowed with it. So it is now retired as a snow removal truck and currently my daily driver. Also has an unoriginal 350 and TH400 instead of the 305/700r4 setup. You gotta have fun while you're little! !